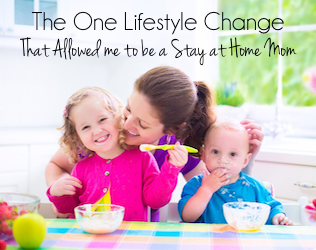 Growing up, I never planned to be a stay at home mom. I loved working and making my own money. And I loved being able to buy things I wanted when I wanted! However, three years ago I made the decision to quit my job and become a stay at home mom. Reason #1 – I was in an extremely toxic work environment that was affecting my health. Reason #2 – I didn’t get to see my family as much as I wanted to — I was tired of missing out. I’ll be honest, it was terrifying at first to lose 50% of our family’s income. But you know what? It didn’t turn out to be the financial disaster I was afraid of. All our bills were paid on time and we still lived comfortably. And you can too! In this post I share the four main things that make it possible to live well as a one income family. None of it is rocket science — these are all actionable, do-able steps that just about any family can implement for real results. These are the four steps our family took to not only survive, but thrive while living on a single salary! Weekly meal planning made a HUGE impact on our budget. I can truly say that this is the biggest part of how we are able to live comfortably on one income. To put it simply, every Sunday night we make a menu and shopping list for the following week. We’re able to shop sales and find coupons (I especially love the Ibotta app because it gives you instant cash back!) because we know what we’re looking for in advance. Plus, cooking dinner at home each night is WAY cheaper than eating out! 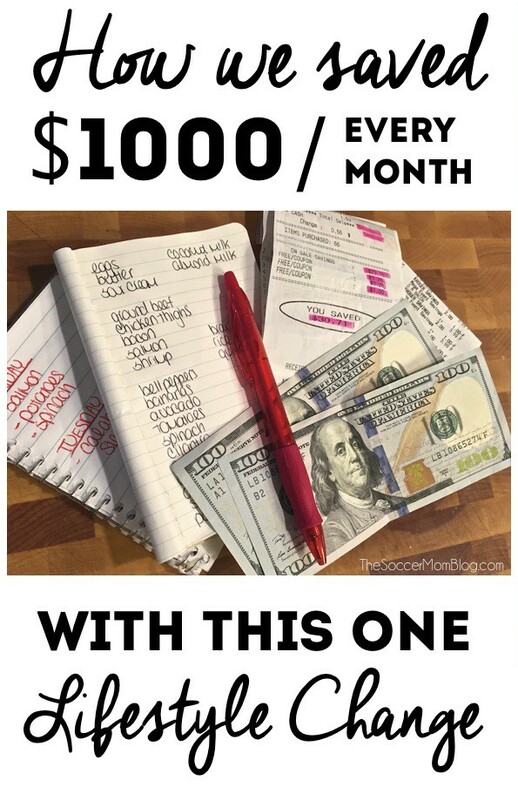 Our meal planning system saved us over $1000 a month (sometimes even more than that!) 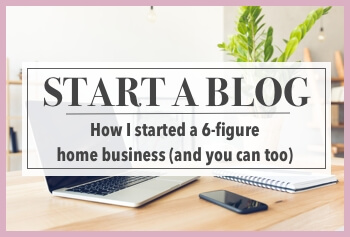 My first post on the subject received such an overwhelming response (and almost 1 million visits!) that I wrote an ebook which went into more detail. 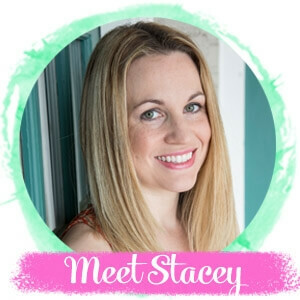 Secrets to a Successful Single Income Budget explains exactly how we saved enough money for me to be a stay at home mom. It even offers a full week’s meal plan and shopping list so you can see an example of exactly what we eat. The NEW updated 2017 2nd edition features bonus recipes, reader tips, and more! CLICK HERE for all the details! When you’re on a tight budget, there’s less room for error. Forgotten purchases or small buys can sneak up on you and blow the budget! By this, I mean that every purchase is accounted for, no matter how small it seems. The problem with “small” expenses is they add up quickly. It’s almost like invisible money because you don’t notice spending it. However, when you check the bank account at the end of the month, there’s a couple hundred dollars less in your bank account than expected. A cup of coffee while out grocery shopping, a couple cute finds from the Dollar Spot at Target …you get the idea. They don’t seem like a big deal at the time. Problem is, if you make five “little” $5 purchases each week, that’s $100 a month, or $1200 a year. And that is REAL money! Use a cash envelope system for small purchases — set aside an agreed-upon amount in cash each week or month for these small purchases. Write down ALL purchases — it might seem tedious, but when you have to take the time to write down everything you buy, you might decide some items aren’t really necessary. There’s nothing we can do about paying bills except grin and bear it…right? Well, not exactly — when it comes to bills, you actually do have some bargaining power. So use it! The key is to negotiate and automate. First, keep track of renewal dates for subscriptions and renegotiate your rate before your contract is up. If you simply let your contract renew on its own, you might find that your rate automatically increases every year. However, if you call the company you can often get special deals or loyalty retention offers, just for asking. Try this for cable, phone, satellite, magazines, music subscriptions, electricity, and any other service that requires an annual contract. These days you can automate just about every recurring bill payment. 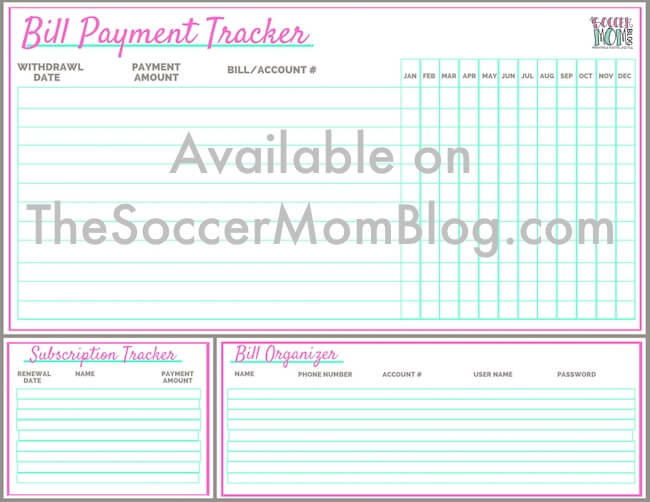 This is helpful for making sure bills are always paid on time. Late fees are a total waste of money! If you’re hesitant to give bank information to any company (there are a couple bills I choose to pay manually), then be sure to keep track of due dates. Download my FREE Bill Payment Tracker to pay on time, keep track of contract renewal dates, and save money! Believe it or not, you can put money in the bank (and keep it there) while living on one income. On that note, you can also make large purchases and take vacations on one income. The key is to create a savings plan and stick to it. My husband and I each put a set amount in a joint savings account every time we go to the bank. Then we stay out of that account! That way the money is there for emergencies or a goal we’re saving up for. Say you want to take the family on a summer vacation, and it will cost $2000. By saving up for that vacation in advance, the trip is already paid for when the time comes. However, if you put the trip on your credit card instead and pay it off over the course of a few months, you’re adding a significant amount to the cost of the trip…in interest. Tip: Keep debit cards associated with your savings account in a safe place so you won’t be able to easily access the funds. This will limit your ability to make impulse purchases. 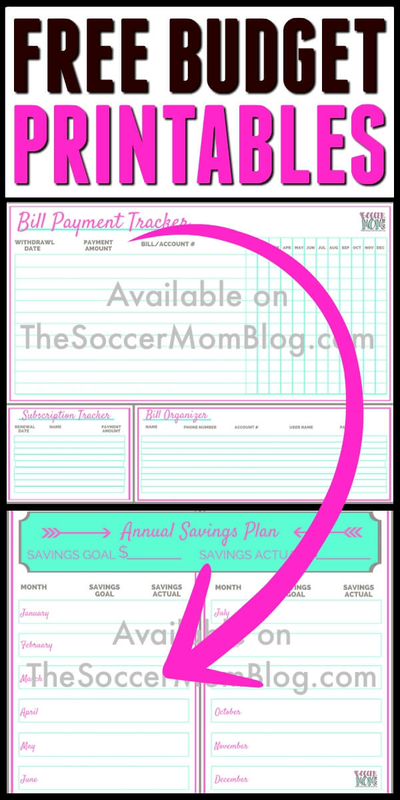 Grab our FREE Annual Savings Goal printable to keep yourself on track! 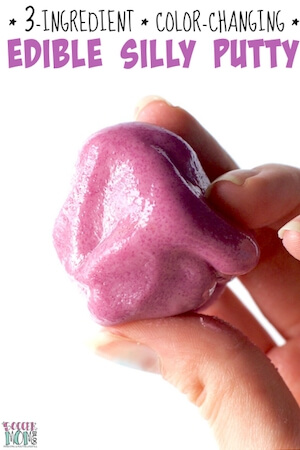 Secrets to a Single Income Budget – my ebook with over 80 pages of money-saving resources and a meal plan system with 24 real food recipes. This is exactly how we live on one income. Totally agree with all your points. Being a stay at home mum is so rewarding, it’s the best decision I ever made.